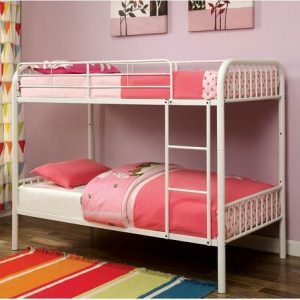 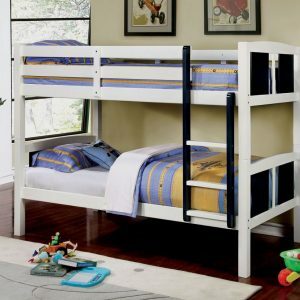 The citadel loft bed bring some wooden charm into your child’s bedroom with this collection. 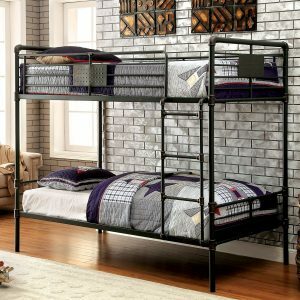 This urban inspired twin twin loft setup uses a moveable ladder to access the top bunk, while the bottom loft lies perpendicular to the top. 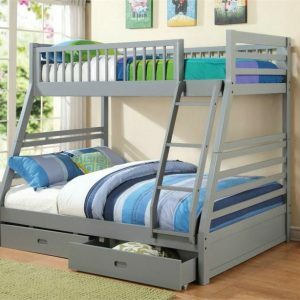 Plenty of storage space and shelving is provided by this unique design and two tone finish combinations ensure that theirs’s a perfect style for your child.